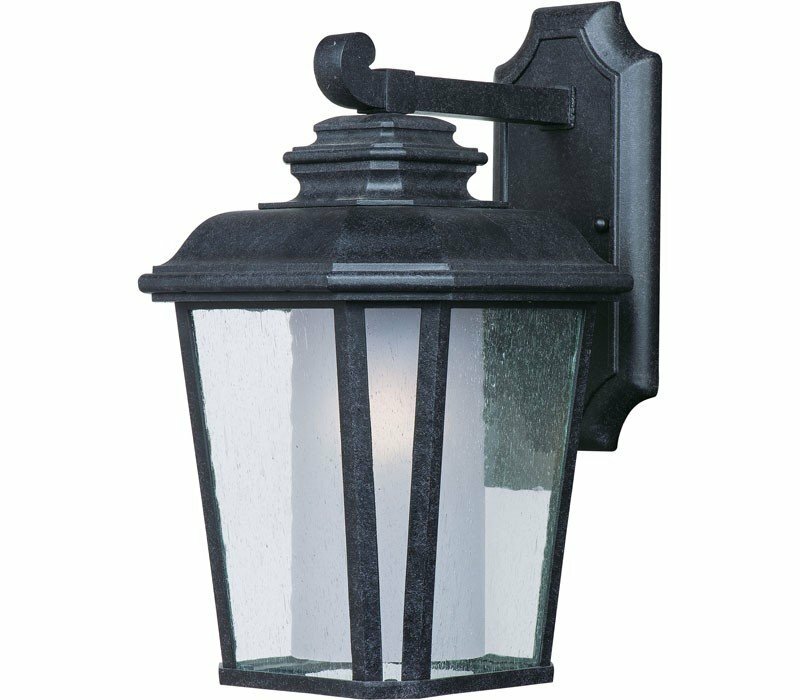 The Maxim 85663CDFTBO Radcliffe EE collection Outdoor Wall Lighting in Black Oxide uses Fluorescent light output and brings Antique style. The total wattage is 18 and the voltage is 120 volts. 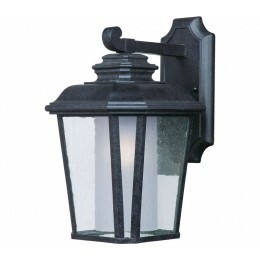 The Maxim Lighting 85663CDFTBO requires 1 bulb (included). Additional Information: Shade-Frosted Seedy Glass.